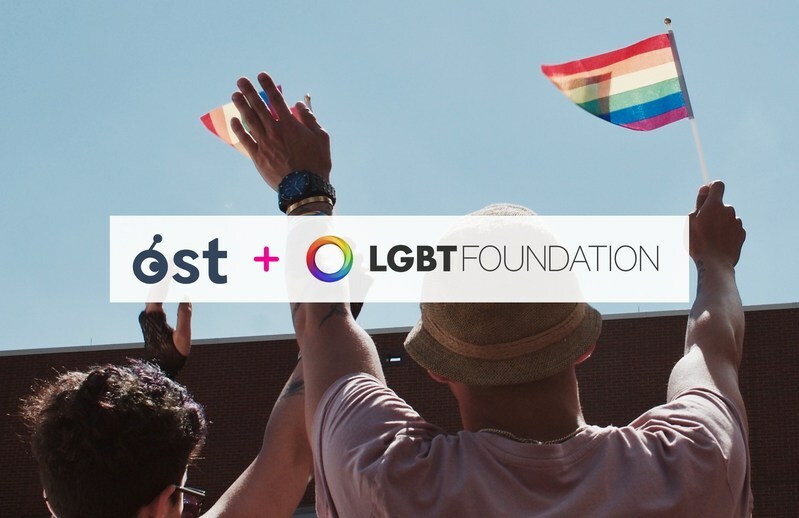 OST and the LGBT Foundation, backed by Hornet Networks, are pleased to announce a new partnership to launch an ecosystem powered by OST blockchain technology, to empower, connect and support LGBT+ people all over the world. The LGBT Foundation will launch the LGBT Token in cooperation with Hornet Networks, one of the largest social networks for gay men with more than 25 million members globally, and Revry, the LGBT answer to Netflix, reaching 70 million homes in more than 100 countries. These two and other launch partners already reach 100 million people worldwide. The LGBT Foundation chose to launch the LGBT Token on OST technology following several months exploring their own ICO, and publishing the LGBT Token “Pink Paper” and “White Paper”. It aims for the Token to be a method of payment and loyalty for physical and digital businesses, as well as a decentralized system for LGBT+ people to verify and protect their identities, especially in countries where they face repercussions. The OST utility token enables any website, app, or marketplace to easily launch a branded token and integrate it into their businesses and communities. Goldberg will join the LGBT Foundation as an advisor to the project.